Dr. LEVAN is a specialist in Plastic, Reconstructive and Aesthetic Surgery with over 20 years of experience. 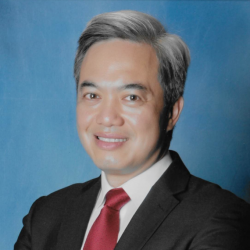 He is President and Founder of the Group for Advancement in Plastic Surgery (GAPS), and a member of both SOFCPRE & SNCPRE. He is also founder of Wikiplastic, the online Plastic surgery video sharing platform. Dr. Levan was one of the first surgeons to practice fat injection using the Coleman Lipostructure technique at the end of the 90s for patients with facial lipoatrophy. He is a pioneer in remodeling with buttock implants and has helped to design the biconvex buttock prosthesis. He has 10 years of experience in Buttock Prosthesis surgery and has performed about 300 buttock augmentation surgery.